Chicago Streetcar Pictorial: the PCC Era, 1936-1958 is the most important book about Chicago streetcars to appear in the last 40 years, and the very first one from Central Electric Railfans' Association. It's also a record of a veritable "Lost Chicago," and presents a unique and very detailed record of long-gone neighborhoods, architectural gems, autos with big fins, men with brimmed hats, and women in their flowing summer skirts. The book is 448 pages, with more than 600 color illustrations. But it is more than just a picture book. 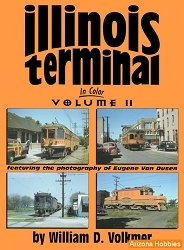 Besides a wealth of photographs, the book covers the complete history of PCC cars in Chicago from start to finish. 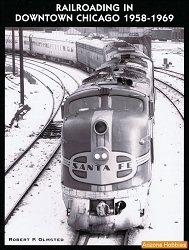 As a special bonus, each book includes the full-length DVD, Chicago Streetcar Memories (by special arrangement with Chicago Transport Memories). 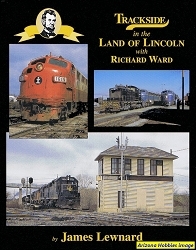 Central Electric Railfan's Association, hardcover, 448 pages, 8.5 x 11 x .75 in., color photographs and illustrations, car roster.